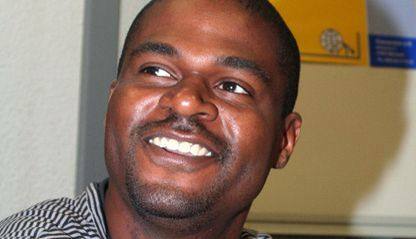 (18.01.2013) Yesterday, the Munich Administrative Court informed counsel for the AWOL U.S. soldier André Shepherd, attorney Reinhard Marx, that the hearing on his asylum application scheduled for next Wednesday has been cancelled. The Munich Administrative Court will submit a request for a preliminary ruling to the European Court of Justice in Luxemburg, and will therefore suspend the proceedings, thus agreeing to a motion by attorney Marx. Pro Asyl, the conscientious objectors network Connection e.V., the Bavarian Refugee Council, the German Peace Association (DFG-VK), Bavarian section, the Munich American Peace Committee (MAPC), and Military Counseling Network e.V. (MCN) welcome this measure by the Administrative Court. In his application for political asylum filed in late 2008, André Shepherd relied on the Qualification Directive of the European Union, which is intended to protect those who evade a war or other activities that violate international law, and must expect persecution. Thus Shepherd’s request for asylum constitutes a precedent involving EU law. The organizations hope that clarification by the highest court of the European Union of the questions under consideration will make it clear that draft resisters and deserters are to be given considerably more protection, especially if they have chosen not to participate in war crimes. 35-year-old André Shepherd joined the U.S. Army in 2004, and after training, was deployed to Iraq as a mechanic for Apache helicopters for six months. After returning to his unit, stationed in Katterbach, Bavaria, he gave a lot of thought to what the U.S. military is doing to the civilian population in Iraq. Finally, he went AWOL and applied for political asylum in Germany. The Bundesamt für Migration und Flüchtlinge (Federal Bureau of Migration and Refugees) rejected his asylum application on 31 March 2011. André Shepherd filed suit against this decision. Please note: Because the hearing has been cancelled, the press conference scheduled by our organizations next Wednesday and the planned support action will not take place.